A new breed of mortgage and insurance broker, aimed at helping you secure the absolute best deal for your personal circumstances. 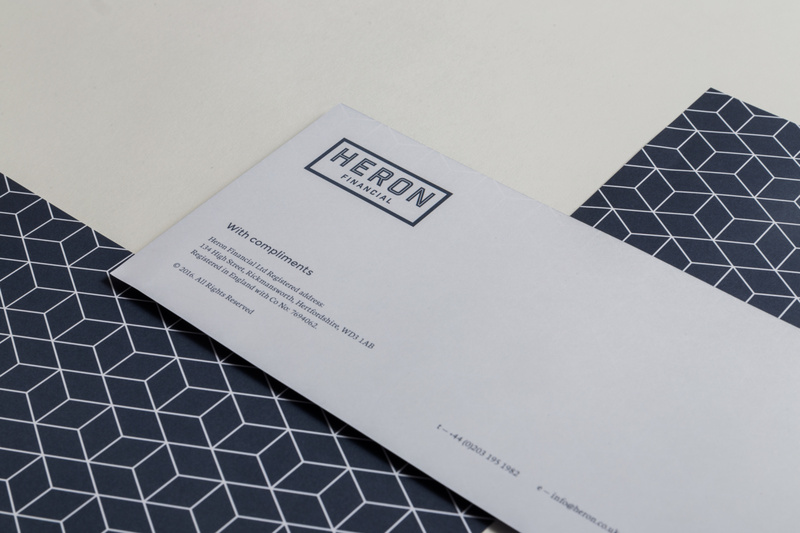 Heron felt that their existing brand identity, marketing materials and digital presence failed to reflect the core of their business. 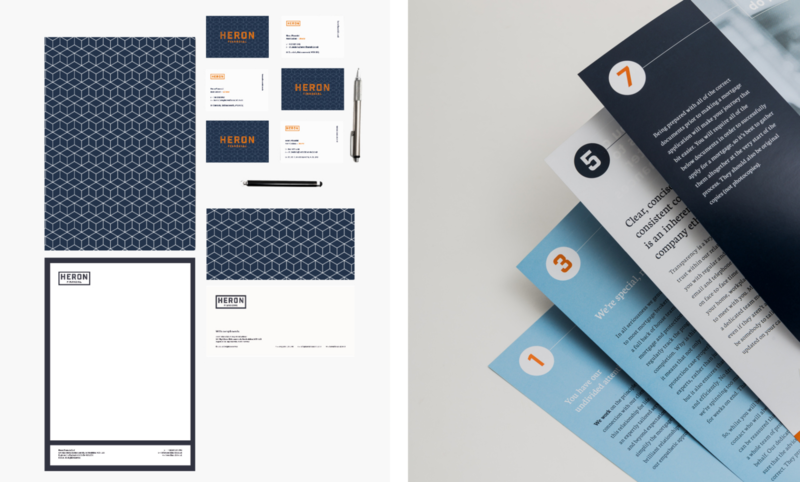 Heron offer a well structured and highly personalised service, which they wanted to shine through in their strategy and branding. They also wanted to challenge negative perceptions of their industry by appearing as welcoming and considerate in their marketing as they are in real life. 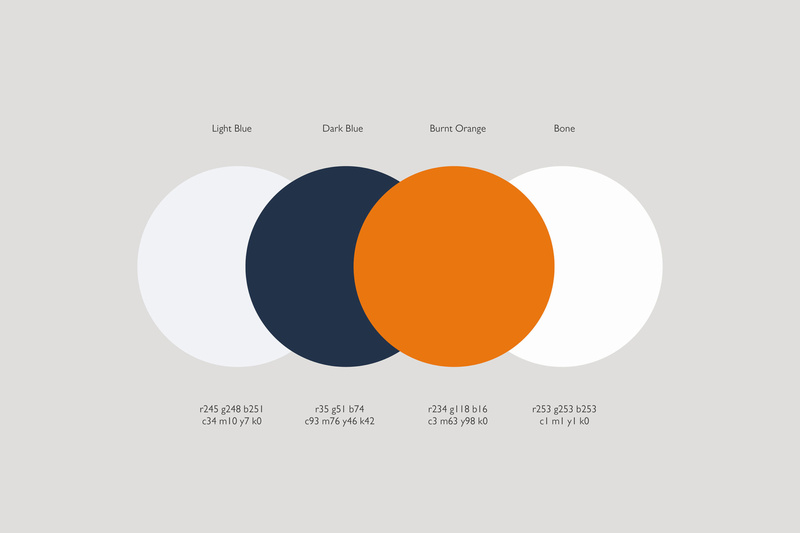 Our objective was to develop their brand story into an offering that really connected with both their B2C and B2B clients, presents the business in an authentic and relatable way, and reinforces their position as industry experts. 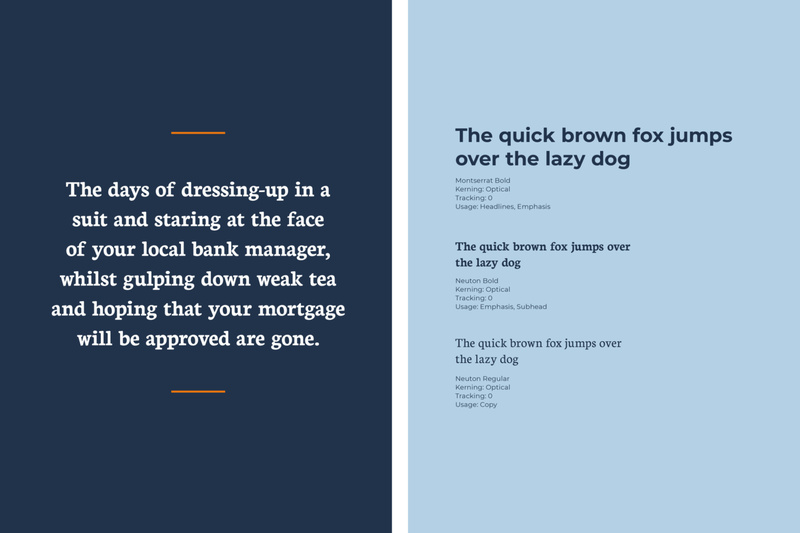 We created a differentiating brand proposition for Heron to help them stand out in a marketplace where everyone is saying the same thing. Modern day brokers typically present themselves as either corporate and alienating, or digital and robotic. Heron bridge the gap by being progressive but with a firm emphasis on customer service and their new branding reflects this. The rich colour palette and use of patterning were inspired by British tailoring and were chosen to portray the company as established, dependable and prestigious. The patterning was developed into a modernist structural design to add a contemporary feel to what would otherwise appear too traditional or stuffy. Geometric fonts and pale tonal colours were added to soften the aesthetic and inject warmth. 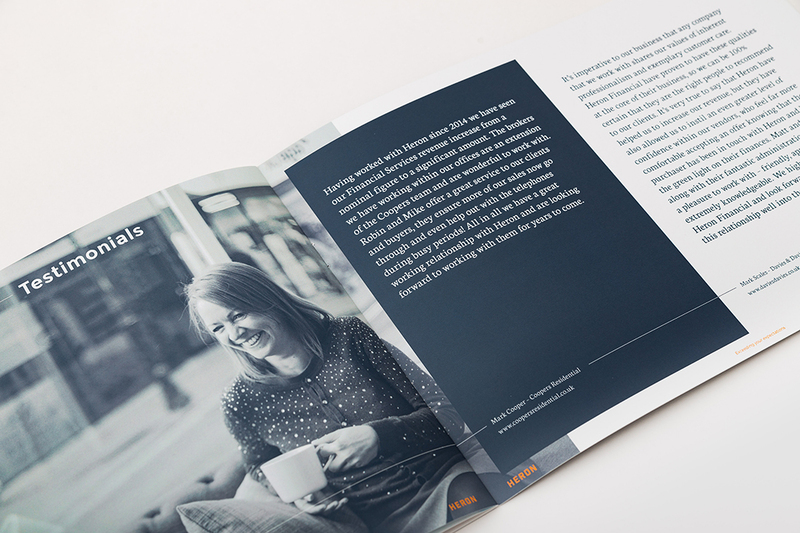 We then provided a point of difference by introducing a down-to-earth brand tone-of-voice and adding playful photography and illustration – creating a balance between professional and approachable. 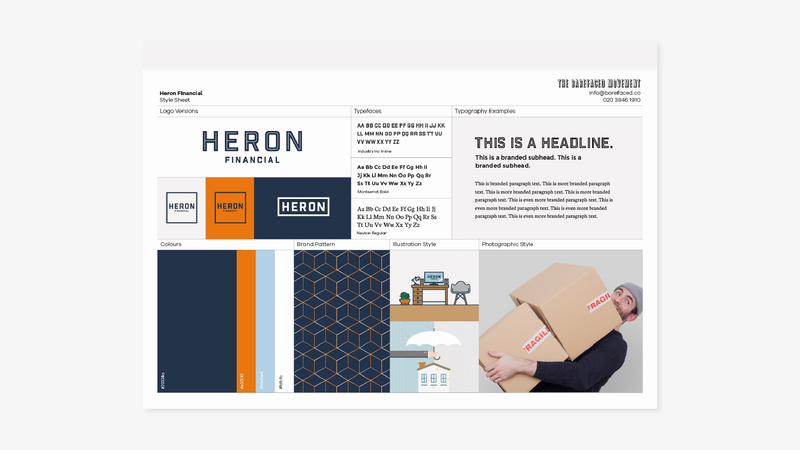 We worked closely with the Heron team to define the company’s position within a competitive market, creating a full re-brand with accompanying guidelines to ensure consistency across all touchpoints. 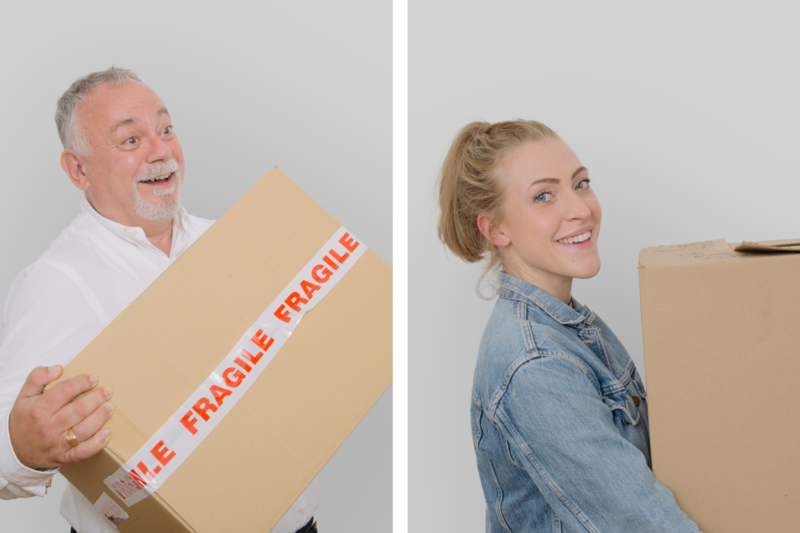 We built a fully responsive and mobile-focused website, complete with bespoke photography, illustration and copywriting (click here to view it). 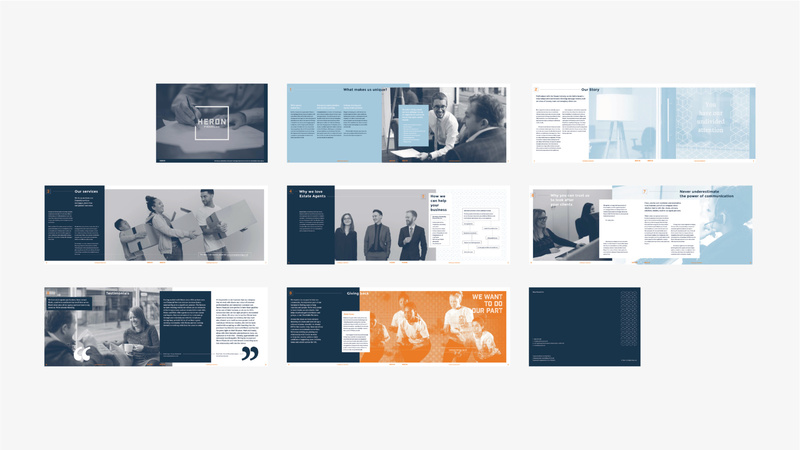 Next, we developed a cohesive set of marketing materials, including B2C and B2B company brochures, marketing suite and illustrated visuals for email marketing campaigns. Furthermore, we assisted with environmental brand application at their new offices, including vinyl designs and hand painted signage. 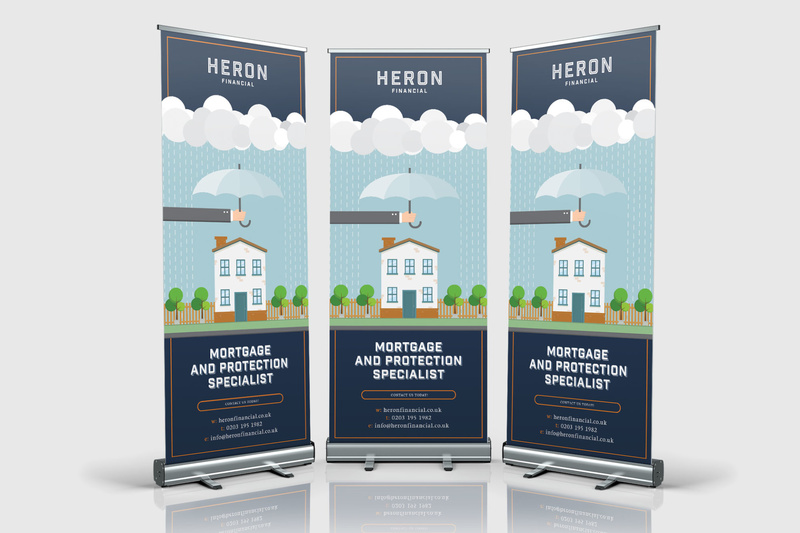 We now act as Heron’s creative and marketing partners and see ourselves as an extension of their team.